On May 13, The WTFC Foundation held its 10th Annual “The Breast of Everything” fundraiser, raising over $40,000 to support breast cancer research at top institutions across the country. 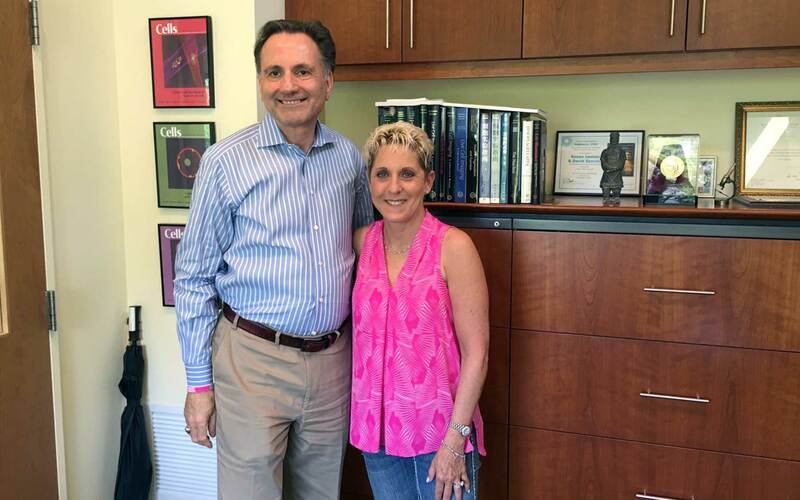 Cold Spring Harbor Laboratory was selected as one of the recipients of these funds, and on June 2 the group’s founder and President Shari Goldsmith, visited the Laboratory to present Dr. David Spector with a check for $10,000. For more information about the Foundation, visit www.thewtfc.org.